Ships from and sold by Speedyhen AU. He wants more than a workplace fling! But can he persuade her to let him in? 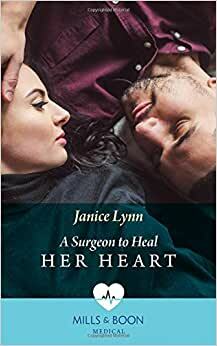 Start reading A Surgeon To Heal Her Heart on your Kindle in under a minute. 5.0 out of 5 starswhat an emotional story! We have or will be given the same situation Carly faced. We faced it 4 times with our oarents, then with a beloved uncle. While life goes on you just hope your chilfren don’t have to do this and yet you’ve raised them to cherish family. To be caregivers and have a life is tough but so worth it. thank you for this story I cried through and cheered Stone & Carly on to their life together. Now she’s has both loves in her life.